Posted December 10, 2015, in News. 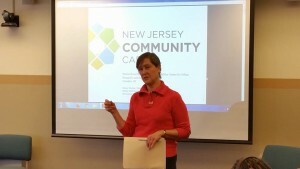 On November 20th,2015, WRI in partnership with the Center for Urban Research and Education hosted a presentation by Chief Lending Officer Marie Mascherin and Community Strategies Advisor Diane Sterner from New Jersey Community Capital, a nonprofit community development financial institution fostering the creation of quality homes, educational facilities, and employment opportunities in underserved communities of New Jersey. 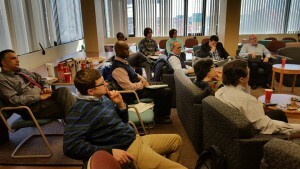 The topic was NJCC’s latest project, THRIVE, which seeks to leverage $4 million into $15 million to do economic development in Atlantic, Cumberland, Gloucester, and Salem Counties. Page last updated by Senator Walter Rand Institute for Public Affairs at 11:32 am January 12, 2016 . 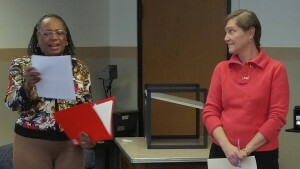 This page was printed from http://rand.camden.rutgers.edu/2015/12/10/wri-hosts-seminar-with-new-jersey-community-capital/ at 8:19 PM Saturday, April 20, 2019.